When it comes to the negative space mani, less is more. 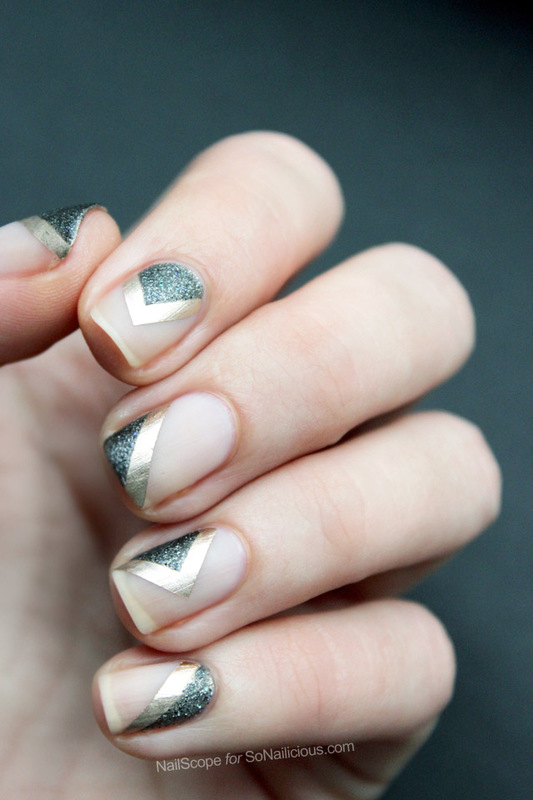 Negative space manicures use geometric patterns or stripes that play peek-a-boo and reveal the natural nail. In this tutorial you'll need a clear topcoat, one metallic matte color, a second metallic color with glitter or texture, and striping tape. Using a small paint brush might be helpful for adding small details. Follow these steps and you'll have glamorous nails in no-time. 1. Make sure your nails are clean and filed. Paint a sheer topcoat and let your nails dry completely. Then add the striping tape, matching the pattern in the photo. Press the tape to the nail firmly for clean lines. 2. Paint the geometric sections with the matte metallic color. Once that has dried completely, fill in the sections with a second, textured metallic color. 3. 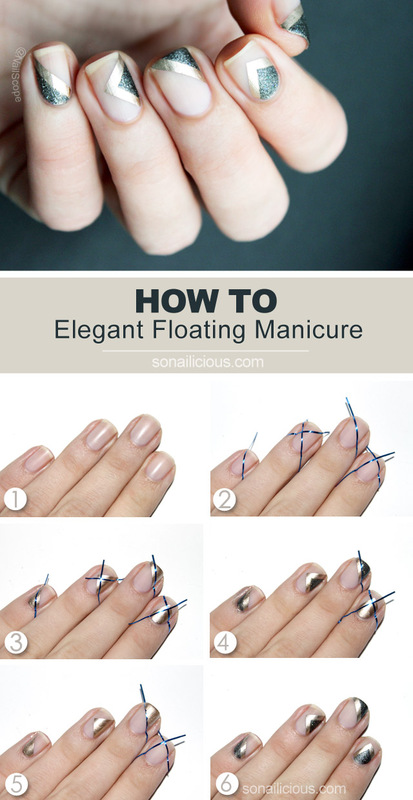 Remove the striping tape with tweezers when nails are dry. Apply a clear top coat. 4. You're ready to show off your new nails! 5. The negative space mani is versatile and easy to customize. Add studs for extra bling or paint horizontal stripes instead of a geometric pattern.